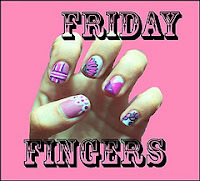 Lizee's Secret Garden: Friday Fingers: Christmas! Merry Christmas and Happy new Year Liz! just got time to kasi leave comment. Dua2 i like but i love your green polish la liz, the color is very nice oh! Thanks Aemy! Happy New Year to you!